Image courtesy of Pixabay and user PublicDomainPictures. A s a so-called dual national, you may be wondering what parameters govern your international travel. After all, you are an individual who in some way, either by choice or not, has become a simultaneous citizen of more than one country. Especially if you are in possession of a passport issued by each country, you might want to know when to use which one (and why). There are entry visa benefits, for instance, but whatever benefit you derive from your status, there are also rules that must be followed and some important things to keep in mind. Each country has its own regulations dictating how it deals with dual nationals, so I’ll focus on the US and briefly mention treatment by Mexico and Canada as well, for the sake of covering the three largest North American population centers. Suffice to say that all three countries permit their citizens to be dual nationals. As a dual national of the US and another country, you are a citizen of the US and owe the nation allegiance. However, this does not jeopardize your other nationality nor your ability to acquire an additional one in the first place. Indeed, you are at liberty to seek out and maintain both; doing so does not threaten your US citizenship, and you do not have to relinquish the other in order to remain a national of the United States (though you are free to relinquish your US citizenship if you acquire a different one and wish to do so). As a matter of fact, US law actually doesn’t even “mention” the phenomenon of dual nationality. Hence, in the eyes of the government, there’s no picking on your part for it to enforce here. That being said, the State Department reminds you that you owe allegiance to your other country of citizenship as well, and that this can be potentially problematic. For instance, each country has the power to exercise its laws over you, and you are legally bound to respect the laws of both. You can imagine the issues that might arise if these laws are in conflict or if one country wants something of you that you don’t want to give, such as your militaristic participation in a war against your other home country. What’s more, the State Department can’t as easily offer you consular help abroad, especially in your other home country, if you get into hot water somehow. Fundamentally, that’s because your nationality is no longer clean cut and solely American. I n spite of these serious considerations, it can be extremely convenient to be a dual national where it comes to traveling abroad. Depending on your particular circumstances, the entry visa requirements of other countries may vary based on the political situation. For instance, certain countries such as Brazil may require that you apply and interview for an entry visa within the US prior to your arrival if you are visiting them on a US passport, whereas if you are traveling on a Czech passport, you need not apply at all…just show up. That saves you a good deal of red tape and administrative headaches. Aside from that, you may receive different (read: friendlier) treatment as you interact with the foreign officials in question. So, what do you have to make sure to do? Well, basically the only requirement is that you utilize your US passport to enter or leave the United States. It’s the only bit of text on the dual nationality info page found on the website of the US Department of State — Bureau of Consular Affairs that is emphasized with bold formatting (so it’s important; pay attention, damnit!). 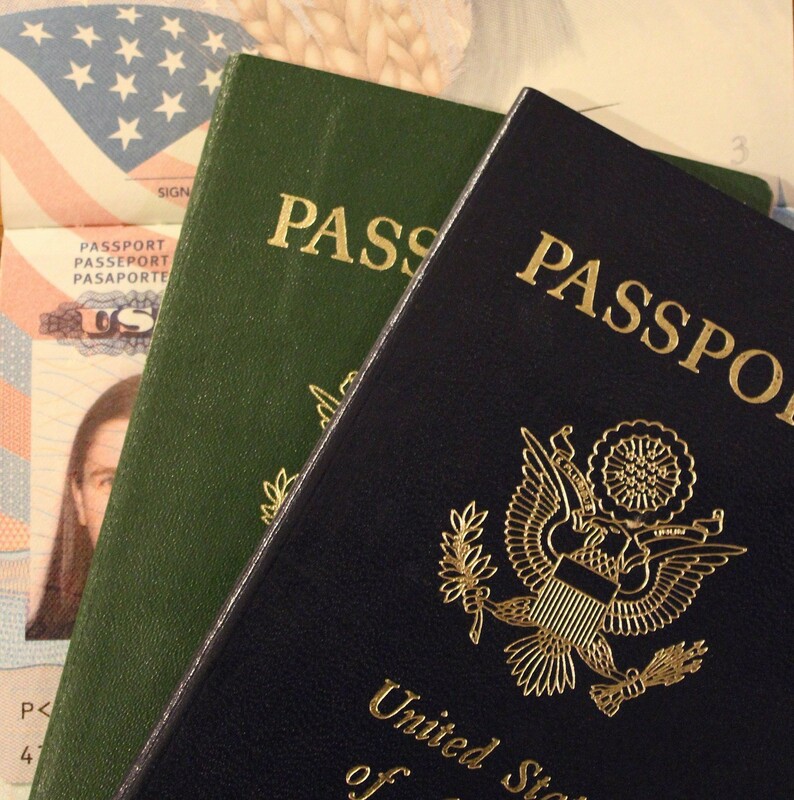 Once you are outside the US and are not seeking to enter it, you can travel on whatever other passport you have at your disposal. The United States will not concern itself with that. If your other home country requires the same of you, then you may find yourself leaving and entering each of those countries with the corresponding passport. For example, you leave the United States on your American passport, enter Mexico on your Mexican one, leave the latter country on your Mexican one again, and re-enter the former on your US passport again. Yes, this may result in a lengthier conversation at each Immigration counter, and it’s possible that you may have to present both passports. The key things to keep in mind are that you are entitled to traveling thusly, you are following the mandates, and you are doing nothing wrong. Mexico’s requirements of its dual-national citizens enjoying international travel, according to the Secretaría de Relaciones Exteriores (SRE), are likewise essentially singular in nature and a repeat of the above for the US: Use your Mexican passport when leaving or entering Mexico. You may be financially obligated to both countries (taxes levied). Your other home country may refuse to acknowledge your Mexican nationality. You may face legal repercussions in your other home country for crimes committed outside of that country. You may receive limited consular protection from Mexico. Canada’s requirements vary slightly in their complexity, even while the country asks for less. If you are a Canadian dual national, you must utilize a valid Canadian passport to enter or travel through Canada by air. However, an exception is made for American-Canadian dual citizens, so long as they travel on valid US passports. Additionally, no mention is made of how one is expected to exit the country. I would argue that the lack of specificity implies that, as a Canadian dual national, you may leave the country on your other passport, if you so desire. Otherwise, the Government of Canada echoes the difficulty it may have in offering you consular services in your other home country, especially if authorities there refuse you access to those services. Finally, it points out that your responsibilities to your other home country may include registering for military service and paying taxes.